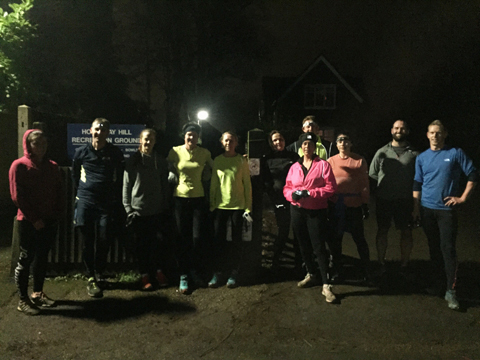 Social Running Club meets Urban Boot Camp! Our newest class at Surrey Fitness Centres is ‘Hybrid’ – where Run Club meets urban Boot Camp! The classes will be varied, using other routes and delights that each local area has to offer. Each class is a real mix of social group running interspersed with traditional Boot Camp bodyweight exercises. This class is for all abilities (runners and non-runners), fully inclusive as are all our other Surrey Fitness Centres classes! Headlamps are provided in the winter and if you need one, bring a small bottle of water. We plan on rolling this new class out to al lour locations in the coming weeks! Video snaphsot from a ‘Hybrid’ fitness class!